Natal Astrology is the study and analysis of your birth chart and preparing a personal horoscope that provides information on one’s psychological portrait and character capabilities, professional orientation, personal life, marriage, children, health, finances, fate and more. This two hours consultation includes predictions for important future periods, as well as one year detailed forecast. Natal consultations are conducted either through Skype, Viber, personally or over the phone and takes about TWO HOURS. This service includes prior to the consultation study and preparation time. Returning Clients Reading is a detailed consultation that can include any questions like annual horoscope, specific questions related to any personal matter. This reading is advisable in case that you have already had full Natal Chart Reading and a detailed forecast of future important events with Krasi. For this consultation your birth time, place and date are no longer needed as they are saved in the database from the previous reading. This reading consultations are conducted either through Skype, Viber, Zoom, personally or over the phone and takes about ONE HOUR. This service includes prior to the consultation study and preparation time. Annual Reading is the analysis of your birth chart and preparing a personal reading that provides information on how the coming solar year will look like for you. It is like a lens that will look in detail at the coming year. Annual reading consultations are conducted either through Skype, Viber, Zoom, personally or over the phone and takes about ONE HOUR. This service includes prior to the consultation study and preparation time. This is an ancient astrology technique that provides a detailed answer to specific question. Any question can be answered in astrology reading. It works by answering question through studying the astrological charts set for the exact time and place of asking a question. It does not give insight on the entire life of a person as the natal astrology does. From a horary astrology chart, one can find the answer only to that specific question that generated it. Horary consultations are conducted either through Skype, Viber, personally or over the phone. 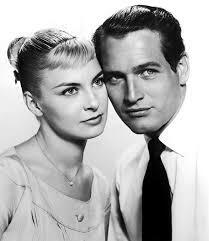 This is the art of relationship astrology. It is a very reliable analysis on how two people interact with each other and how compatible they are. Synastry can be made for love relationships, family, friendships, corporate and other people interactions. 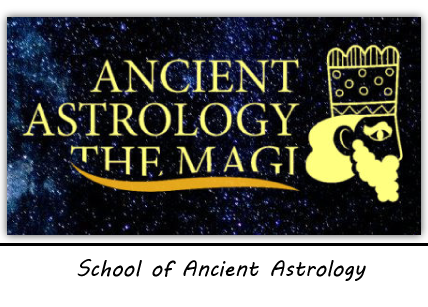 This method involves comparative analysis of the charts of both persons involved using the methods of the astrology of Mesopotamia as our study is based on the knowledge from the Arabic and Latin translations of the secret doctrine of Hermes Trismegist (5000 years BC). Synastry consultations are conducted either through Skype, Viber, Zoom, personally or over the phone and takes about TWO HOURS. This is an astrology method that helps us find the most appropriate time for the successful beginning of certain important ventures or undertaking, like choosing the right date for your safe surgery, starting a project or business or any important event in life that you may have in mind. The purpose of electional astrology is to choose specific planetary alignments in the future that are more well suited to the success of a given undertaking or project that one would like to initiate. In the electional astrology, we need to have information about the event in question and its possible location. Electional consultations are conducted either through email, Skype, Viber, Zoom, personally or over the phone. The astrological magic is the finest art of astrology. 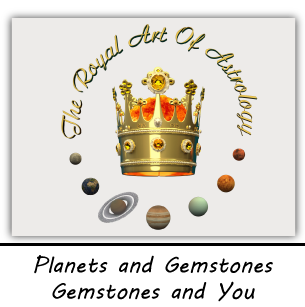 This is actually the royal art of astrology known for centuries to have served variety of needs of royalties and the knowledgeable people. HERE you can find the talismans that I make only on the most appropriate planetary times and following ancient Babylonian rituals. To receive my advice on which is the right astrological talisman personally for you in order to serve the needs of your natal chart only and to serve as a remedy and to improve the quality of your life, you may order astrological consultation only for creating your personal talisman. This consultation will include a basic reading-description of the most important details of your natal chart. This consultation does not include the talisman. The talismans are available for order HERE. Astrological magic consultations are conducted either through Skype, Viber, Zoom, personally or over the phone. The Birth Time Rectification is done when one does not know his/her exact time of birth. The precise birth time is always very important in order valid and reliable astrological predictions to be made. This reading includes complete analysis of your natal chart after the adjustment of your birth time. In order to rectify your birth time I am using the very valuable ancient technic Primary Directions and the secret aspects, that are not used by the modern astrology which will attempt to rectify your time only on the basis of your physical appearance. This procedure is very knowledge-based and time consuming. This is the real art of astrology. The birth time rectification consultation includes a free reading of your rectified natal chart. A conversation about rectifying the birth time can be conducted via the phone, Viber, Skype, Zoom, or in person. The written horoscope analysis includes rectification of your birth chart. Written analysis of the natal chart is the study and analysis of your birth chart and preparing a personal horoscope that provides information on one’s psychological portrait and character capabilities, professional orientation, personal life, marriage, children, health, finances, fate and more. This analysis includes written forecast for one year and a description of important future events. Such written horoscope is a very serious analytical work and takes me about 1 week to 10 days depending on my agenda of the moment. After the preparation of your written horoscope, you are welcome to meet me on Skype, Viber, Zoom, personally or over the phone to ask any questions or discuss the written analysis.